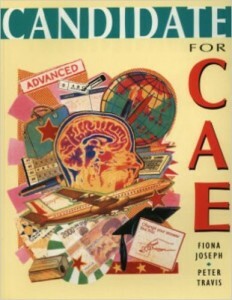 Candidate for CAE was written for a previous version of the Cambridge English: Advanced. It was an innovative coursebook with an emphasis on learner independence. Exam Focus sections replicated every exam task, and Strategies sections provided hints for tackling each question. The coursebook also gave a detailed treatment of all CAE level grammar points.